Dehydrating foods at home can be a fun and rewarding skill. Save money by buying fruits and vegetables in season and in bulk and dehydrate them yourself. Or, even better, grow them in your own garden. When you dehydrate your own foods, you will know for sure what goes into them - no chemical preservatives or fillers and more nutrition. I love that the Excalibur has a timer, so it shuts off when finished. The dials are self-explanatory and a chart with times and temperatures are right on the control panel. There are more natural methods, like the sun and wind, of course, less expensive but do take much more time for the drying process, not to mention trying to keep the bugs off the food and making sure the food is 99% moisture-free. For storage purposes, the moisture content must be as low as possible. Why Dehydrate Your Own Food? 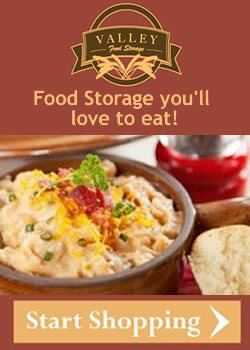 It's easy for one thing, and the storage space needed is less than canned and bottled food. And how about your freezer? Is it big enough to hold all the vegetables or fruits you might grow in your garden? And if the electricity goes out for an extended time? Big problem. Well, we all know the freezer is not for long-term food storage (more than a year). 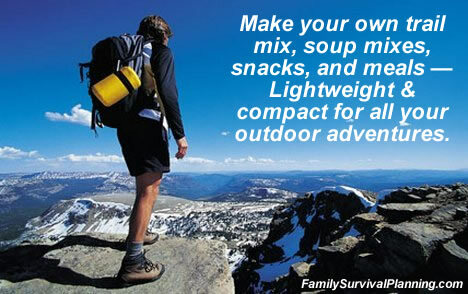 Dehydrated and freeze-dried foods bought from a retail store are great to have in your survival supplies, but they are more expensive than drying your own. 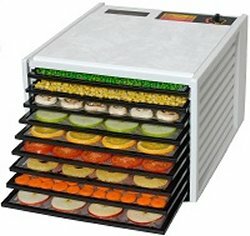 One season of drying your own fruits and vegetables or making your own jerky would pay for an Excalibur dehydrator — even the most expensive one! And they do come in 4, 5, and 9 tray versions. 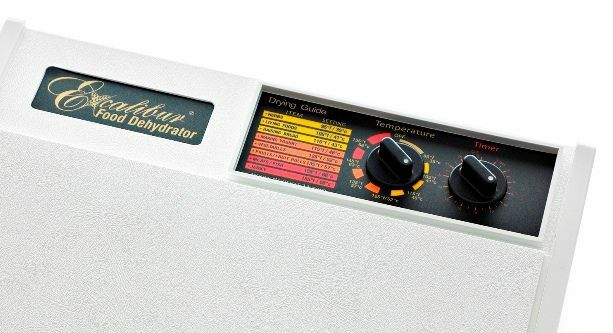 What can you use your food dehydrator for? 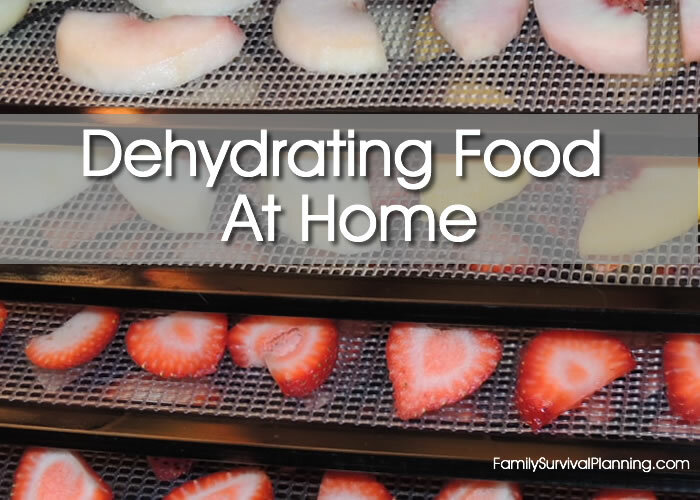 Dehydrate salmon, trout, tilapia, shrimp - any fish! Dehydrate meat that is not turned into jerky - beef, chicken, pork, deer, elk. Dry your home-grown sprouts and herbs for the ultimate nutritious veggies! Use it for making yogurt. Use it to raise (proof) your home-made bread. Dry flowers and other plants for crafts. 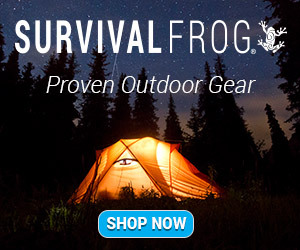 Perfect for those who grow their own produce. Properly packaged, the shelf life can be up to 25 years — just like store bought. But the difference? No preservatives; no high salt content; no fillers and chemicals. Dried foods should be stored in airtight, insect-proof containers, such as glass or plastic jars. Pint-size freezer bags that are moisture and vapor proof work pretty well, but vacuum packaging will extend the shelf life of foods. I can't even count the number of times I use my FoodSaver Vacuum Sealer. I seal meats as soon as I bring them home from the grocery store. I vacuum seal cheese, using a Ziploc-type FoodSaver bag that I can open when I need cheese and seal back up if I don't use the entire block. 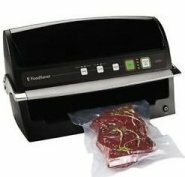 The FoodSaver Vacuum Sealer has two attachments, one for regular-mouth canning jars and one for wide-mouth. This handy device (right) facilitates vacuum packing using canning jars and the regular canning lids and seals perfectly. 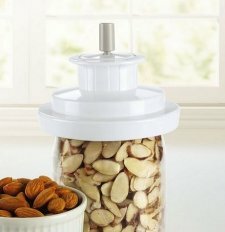 This is a good method for long term storage for home dehydrated foods. Click HERE to learn to make your own jerky. Drying your own meat is another story. It can be stored in glass or plastic jars, but may keep only for a short period at room temperature because of the fat content - it will turn rancid. 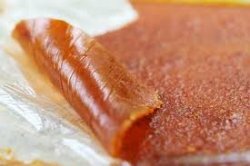 Meat is best stored in a refrigerator or freezer for long term storage but will keep quite well for months if vacuum sealed. Wash the fruit, cut in half, toss the pit away (if it has one). Throw the fruit into a blender, and add sugar to taste (or not). Add a little lemon juice to keep the leather from going dark as it dries. Cover a cookie sheet with plastic wrap and pour on the pureed fruit. If it reaches the edges of the cookie sheet, stop pouring or it will be too thick. Get another cookie sheet for the rest. 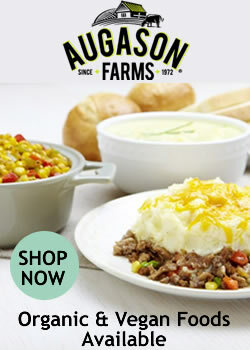 * Or spread on a tray of your electric dehydrator. Works just the same and takes less time to dry. Nearly anything you can think of can be dehydrated: herbs, dairy products, noodles and pasta, flowers for decorating, as well as the usual fruits, vegetables and meats. The first item I tried in my Excalibur was yogurt leather. I mixed some unsweetened Greek yogurt with sugar-free strawberry jam, spread it on a tray and dried it for several hours. It was really good! Turned out just like fruit leather. After drying herbs, you can store them whole or just crush them between your fingers or use a rolling pin for use as spices. It's best to store them in small containers (like clean, empty prescription bottles) which will retain the flavors better than large jars. Large jars will lose aroma every time they are opened. To keep herbs at their best, store in tightly covered containers in a dry, cool, dark place. Heat and light can cause loss of flavor. Dehydrated vegetables are usually used in soups and stews. Simply drop dried pieces into simmering soup or stew and cook long and slow. To prepare as a vegetable side dish, pour one cup of boiling water over one cup of dried vegetable in a saucepan. Cover and simmer until tender. Some vegetables would be delicious as a snack or dipped in a cheese or other vegetable dip. Dehydrated fruits are delicious just as snacks. They can also be crushed, soaked, or cooked in your favorite recipes. Dehydrated foods can easily be incorporated into all your favorite recipes. They are perfect for snacking, such as banana chips, dipping dried vegetables in your favorite sauces, or jerky while hiking. Properly dried foods rehydrate well and return practically to their original size, form and appearance. If dried carefully, they will retain most of the aroma and flavor as well as their minerals and most of their vitamins. Reconstituting dehydrated food methods include soaking in water or juice, placing food in boiling water, cooking, or using an electric steamer. IMPORTANT: Remember not to add salt, sugar or spices during the initial five minutes or reconstitution as these additives hinder the absorption process. So . 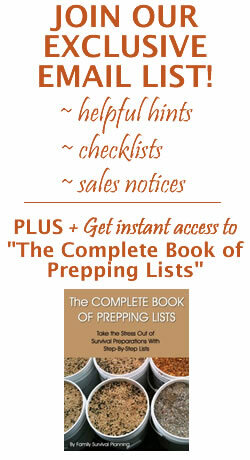 . . go and start dehydrating your own food . . . and enjoy the "fruits" of your labor. 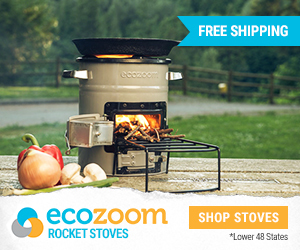 Choose the right size dehydrator for your family! Click HERE. 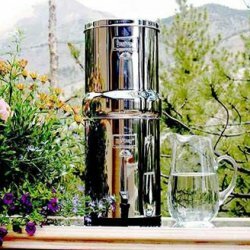 What type of food have you dehydrated? How did it turn out?